H.A. Ironside's lifelong ministry, including eighteen years as pastor of Moody Memorial Church, was dedicated to helping people understand the Word of God. Several generations of Christians have relied on his writings to enrich their personal study and to aid them in their own teaching ministries. 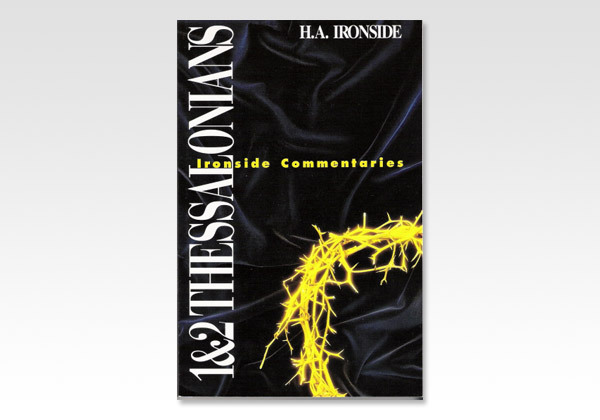 Chances are that the Bible teachers you trust use Ironside's commentaries. These paperback editions can be used with your favorite Bible translation and include features that make them ideal for personal use or group Bible study. Now you can enjoy and profit from the books that have helped thousands of believers around the world come to a richer understanding of God's Word.